Once in awhile an escape to Paradise is in order. 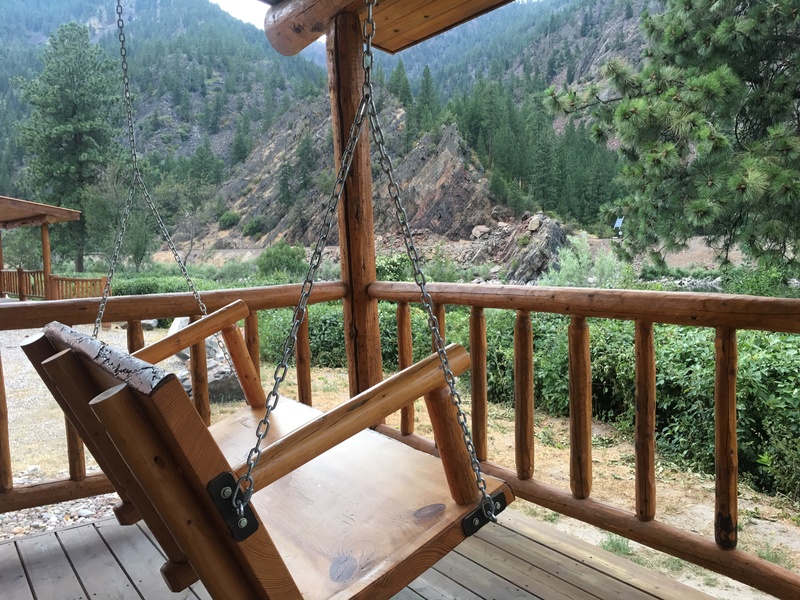 We recently stayed at Quinn’s Hot Springs Resort, in Paradise, Montana. It was exactly the getaway that we needed. One thing we love about Quinn’s is that they really do a great job at welcoming you and making you feel valued. Whether they are a food server, bartender, pool attendant, or maintenance crew, each person exhibits outstanding customer service. If you’ve not tried Harwood House restaurant, this is a MUST, even if you’re just passing by on the highway. Their dinner menu always holds some WOW surprises, but don’t discount their breakfast and lunch offerings. We have also called in sandwich wraps to pick up, and were very glad that we did not opt for fast food. These sandwiches were every bit as portable, but much higher on the delicious and nutritious scale than any drive-thru can offer. Breakfast at Quinn’s is a treat every time, and in the summer you have the added delight of observing hummingbirds at the numerous feeders. Quinn’s has lodging accommodations for nearly every budget. If you’re up for a something of a splurge, check out their river view Luxury Cabins. Complete with air conditioner and a fireplace in the sitting area, another fire in the bedroom, a comfortable king-size bed, jetted tub for two, a dual headed walk-in shower, a mini kitchen with french press coffee, snacks, fruit and wine, and the porch swing overlooking the river, you’ll believe that Paradise an apt description. We’ve also stayed in their “canyon view” cabins on the pool side of the highway, and they also offer a comfortable night’s stay.